Nearly Rs 26,000 crore are being spent on cleaning up the holy river that's highly polluted now, under the National Mission for Clean Ganga in association with the states, the minister said. 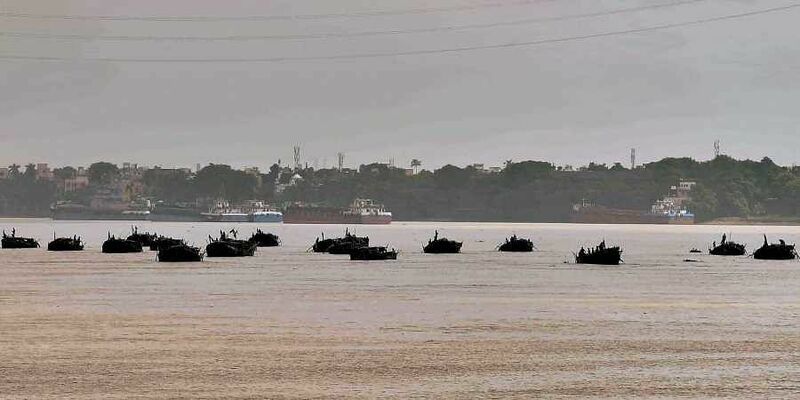 MUMBAI: Union water resources minister Nitin Gadkari Thursday said 70 to 80 per cent of the Ganga will be cleaned by the end of March. "By the end of March, 70-80 per cent of the Ganga will be cleaned, and my feeling is that by March 2020, the river will be 100 per cent clean," Gadkari said at the launch of a book, 'India Inspires: Redefining the Politics of Deliverance' here this evening. On the fall in the second quarter GDP growth rates, the minister, who also holds the key portfolios of roads & highways and ports & shipping, said as far as the economy is concerned, we are still the fastest growing one among the large economies in the world. It can be noted that for the second quarter of the current fiscal year, the economy grew at 7.1 per cent--a three-quarter low--over 6.3 per cent in the year-ago period. In the first quarter, the economy clipped at 8.2 per cent and 7.7 per cent in the March 2018 quarter. For the first half, the economy grew at 7.6 per cent, forcing many analysts to revise down the full year growth to 7.1-7.3 per cent. On the road sector, which has been a key focus area for him and government, Gadkari said, a lot more work needs to be done in the sector. "When I became the minister, road construction was at 2 km a day, but now it is 28 km a day. By next March we will be constructing 40 km per day of roads," Gadkari said. On the expressway construction, Gadkari, who is credited for building the country's first expressway--the Mumbai-Pune Expressway in the 1990s when he was the roads minister in Maharashtra--said 12 new expressways under construction now across the country.